Gateshead players and staff have released a damning statement calling for owner Dr Ranjan Varghese and chief financial adviser Joseph Cala to leave the club. The club are currently unable to use the Gateshead International Stadium apart from matchdays due to unpaid debts before a deal was agreed in principle for former Rochdale chairman Chris Dunphy to take control of the club. However, the National League side hasn’t yet been sold and Gateshead players and staff have revealed they haven’t received their March wages. 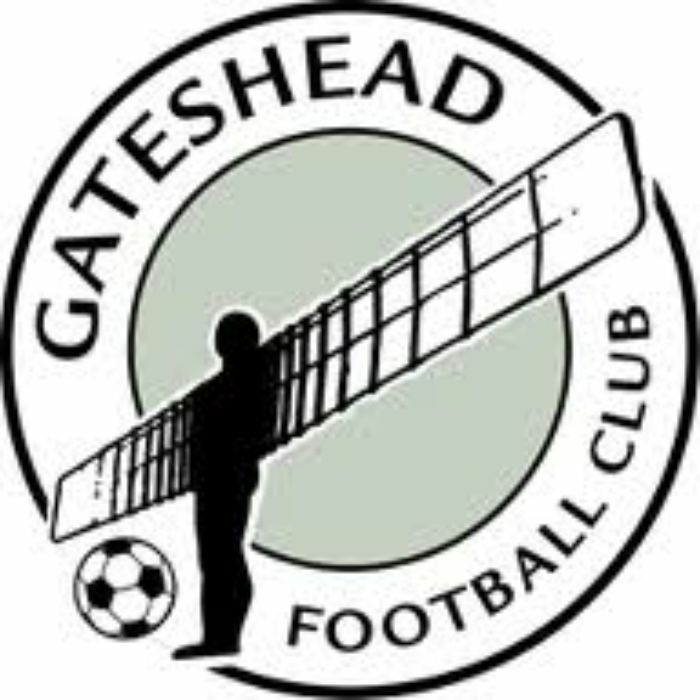 In a statement drafted and approved by all players and coaching staff at the club, they said: “The Gateshead Football Club playing staff would like to issue the following statement regarding the owners of the club. “We use the word owners in reference not only to Ranjan Varghese – the named owner of Gateshead Football Club – but also Joseph Cala, the man we all feel has been unofficially running the club virtually unopposed since the start of the 2018/19 season. “As of writing this statement, all staff at the club are still awaiting our wages for the month of March. This was due on Friday 29th and then later promised to be paid by Monday 1st April. “Our manager has since been told by Cala that we will not be paid unless he calls the National League and successfully requests them to release funds from the bond. We believe that this is a highly inappropriate and unpro­fes­sional thing for the club’s ownership to say to our manager in our current situation. “For the months of January, February and March 2019 in particular, we have encountered several problems receiving our wages. Players and staff have not been paid on time for three months running and some have been paid improperly. Several outstanding expenses are still owed as well. “On Friday, the day before an important National League match at Braintree, our training was disrupted as we were called back to remove our belongings from the International Stadium and leave the premises due to outstanding debts owed to Gateshead Council. “This serious financial mismanagement at the club has to stop. We are a squad of 16 senior players with one of if not the smallest wage bill in the National League yet debts and wages are still left unpaid. “In addition, Gateshead players and staff have been consistently undermined and lied to by Joseph Cala. “The sales of Scott Boden and Fraser Kerr were brokered by Cala behind the back of all staff at the club despite supposed guarantees that these players would not be sold while we were under a transfer embargo. “The embargo has been in place since September and we were informed that this could be lifted very quickly should we wish to bring a player in. We are now into the final month of the season and have seen virtually no effort to get this lifted, leaving us with 14 outfield players and one senior striker. “There have been numerous hurdles we’ve had to face over the course of the season, such as travelling to almost every away game on the day, having to get up as early as 5am with no pre-match meals (until Saturday, thanks to Gateshead Soul) in order to cuts costs. “Still, this barely scratches the surface of all the damage that has been done. “In spite of all of this, all players and staff have remained professional and continued to perform above and beyond all expectations to the point where we are serious contenders for a play-off position going into the final month of the season. “We have always given 100% for the badge but we could not have done this without the immense support from the simply unbelievable Heed Army who have backed us through thick and thin while those in charge haven’t. “While our job is not yet complete, we continue to compete while battling the stresses of being thrown out of our home stadium as well as the financial predicament of not being paid properly, if at all. “We have reached the point where these decisions are now affecting our lives away from the football club. Many of us have bills to pay and young families to provide for and it is seriously concerning that very little explanation or apology has been given as to why this has been allowed to happen. This is your doing, not anyone else’s. “As owners, you have a respon­sibility to honour contracts, agreements and show a basic level of human decency and respect towards your staff – none of us have ever experienced anything like this before and we feel we have reached the point where we cannot continue while you, the current owners, are still at the club. “We have the football club at our heart and nobody wants you at Gateshead any longer. The players, staff, fans, National League and Football Association have all made that abundantly clear. It is in everyone’s best interest, including your own, to leave. “Fortunately on Friday, there seemed to be light at the end of the tunnel for everyone as an agreement was reached in principle, to sell the club to former Rochdale chairman Chris Dunphy. “Having agreed to sell the club to Chris, we simply ask you to honour this promise and leave the club with at least some dignity by allowing Chris to take over alongside Bill Goodwin. “These are men with a proven track record at running a football club and we wholehe­ar­tedly endorse their takeover bid. “Should you fail to go through with your promise to allow Chris to be in a position to take over at the club, we will be left with no choice but to take immediate action.